​Rachel began playing piano professionally and competitively when she was thirteen years old. She spent her high school years accompanying for various vocal competitions, church worship services, and choral ensembles. In high school, Rachel also participated in numerous piano competitions with other aspiring artists in the Charleston area, and was selected as the winner of multiple scholarships, including the Louise Mathis Scholarship and the Charleston Symphony Orchestra League College Scholarship. Rachel was privileged in high school to study under former CMTA president Jacqueline Jones and respected long-time Charleston Southern University keyboard department head Eugene Koester. Rachel received her Bachelors of Music Education (Vocal/Choral) from Anderson University in May of 2015. During her time at Anderson University, she was able to study piano under Dr. Howard Kim, and received multiple performance-related honors and scholarships, including the Festival of Keys Scholarship. She was selected to perform twice in the Music Department Honors Recital for the South Carolina School of the Arts, and was a featured guest soloist with the Anderson Symphony Orchestra, playing Beethoven's "Third Piano Concerto in C Minor." ​Rachel was privileged to be one of the founding members of the breakthrough piano ensemble, Noteworthy, while attending Anderson. The Noteworthy performers have become an integral part of the annual Festival of Keys and President's Gala performances in Anderson and incorporate a blend of Classical, Pop, Showtunes, Jazz, and Soundtrack music in their unique, exciting keyboard ensemble sound. While in college, Rachel arranged two compositions which she publicly performed with Noteworthy. Rachel was also actively involved with the Theater and Musical Theater degree programs at Anderson University, and was able to serve as an accompanist and music director for multiple collegiate performances, including Barnum, Mary Poppins, and The Corn Is Green. She accompanied many of the Theater students in performance recordings and preparation rehearsals for SETC auditions. Rachel also began her ventures as a special event pianist while in college, playing for weddings, dinner parties, club gatherings, and graduation ceremonies. Since graduating college, Rachel has become an entrepreneur in the world of vocal and keyboard music education. She has over thirty private voice and piano students, ranging from young elementary through high school. She also teaches for multiple homeschool partnership programs, including the Home Educators Learning Partnership and the Summerville Home Educators Enrichment Program. Her duties with these partnerships include director of a middle school and high school chorus, as well as music director, vocal coach, and accompanist for an annual high school production of a full-length Broadway musical. 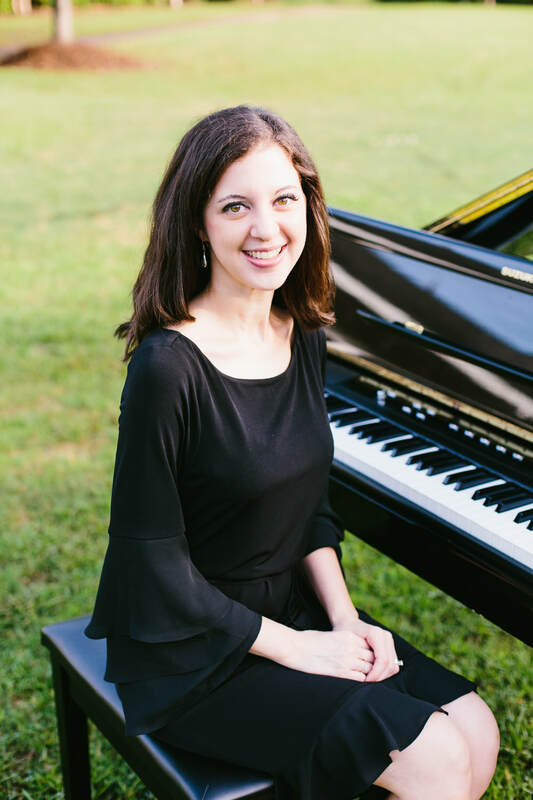 Rachel alternatively employs her piano skills in accompanying for various vocal competitions and performances all over the state of South Carolina, and is currently the lead worship pianist at her home church. She is currently active as a vocalist with the Charleston Symphony Orchestra Chorus and the Taylor Festival Choir. Rachel is happily married to Craig Premo, who is a middle school teacher and coach at James Island Christian School. They enjoy long evening walks, eating homemade pizza, seeing new movies together, and spending quality time with their families. Rachel is extremely passionate about piano and loves the thrill of serving others through her playing. She is extremely thankful to be on staff with Lowcountry Pianist & Co.
*Many traditional hymn, broadway, and disney requests can be honored. For other specific vocal selections, just ask!